Our focus is on helping you to maintain your active lifestyle and overall wellness. We believe that providing you with care in alternative therapy is foremost in your health and maintenance needs. Massage Therapy is one of the oldest methods of healing, dating back to 4th century B.C. Today, therapeutic massage incorporates manual manipulation of the body's bones, muscular system, and other soft tissue. An RMT uses their hands to physically stretch muscle, tendons, and fascia. 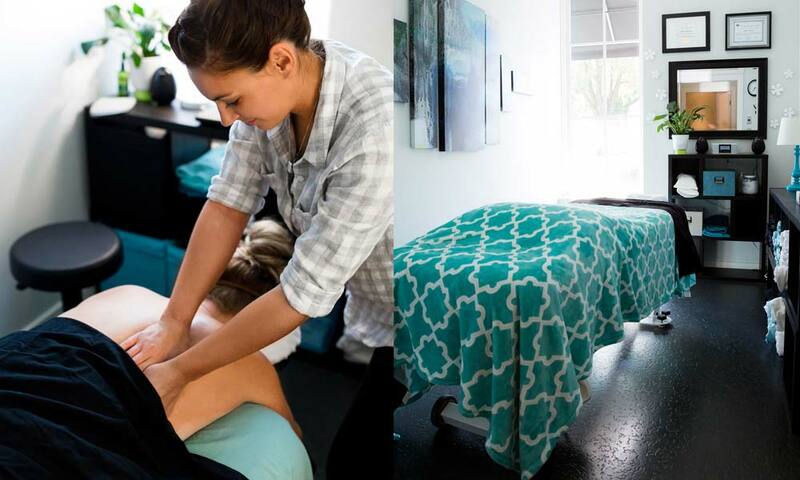 The practice of Massage Therapy includes the assessment, treatment and prevention of soft tissue and joint disorders. RMT’s use various treatment methods such as hydrotherapy (heat or ice), mobilization and therapeutic exercise to relieve pain, rehabilitate and restore health. All RMT’s in B.C. must complete specialized training from an accredited educational institution. All RMT’s must successfully complete both written and practical examinations set by the College of Massage Therapists of British Columbia (CMTBC), and must continue with post-graduate studies to maintain registration as an RMT. RMT’s honour a strict code of ethics set by the CMTBC, which ensure that patients receive safe, competent and ethical care. Patient trust and confidentiality is respected at all times. Who would benefit from RMT? Therapeutic massage can be used to promote general well-being, while boosting the efficiency of the circulatory and immune systems to benefit blood pressure, circulation, muscle tone, digestion, and skin tone. It has been incorporated into many health systems, and different massage techniques have been developed and integrated into various complementary therapies. The following modalities address adhesions in the fascia surrounding and between layers of muscle, bone, tendons, ligaments and joint capsules. Releasing these adhesions and deactivating trigger points will increase mobility, circulation, flexibility and decrease pain. Neuromuscular Therapy (NMT) and Trigger Point therapy - These techniques utilize static pressure and on specific points in order to relieve pain. Trigger points are highly irritable points in muscles which can refer pain locally or to other points in the body. Generally, trigger points are caused postural distortions, injury, or biomechanical dysfunction. NMT and trigger point therapy are also often used to alleviate nerve compression and entrapment. Myofascial release-Fascia is a dense, tough tissue that surrounds and covers all of your muscles. Myofascia (myo=muscle) helps to separate muscles that complete similar actions into groups, and to help groups of muscles slide over top one another to promote proper biomechanics. Myofascial release involves applying sustained pressure into the myofascial connective tissue restrictions with the goal of eliminating pain and to restore motion. This type of treatment often uses little or no oil to eliminate glide on the skin. The pressure may be deep or superficial. The following treatment techniques address alignment in bones, cerebral and spinal fluid imbalances that may cause sensory, motor or cognitive dysfunction. Lymphatic drainage techniques can be used to decrease swelling after injuries to intact lymphatic systems. Muscle Energy Technique is a form of soft tissue treatment which uses gentle muscle contractions to stretch or release restricted tissues. Some techniques can also help to strengthen muscles or move joints into their proper alignment. Craniosacral Therapy uses light pressure techniques to assess and treat soft tissue and joint restrictions found within the cranium and around the spinal cord.